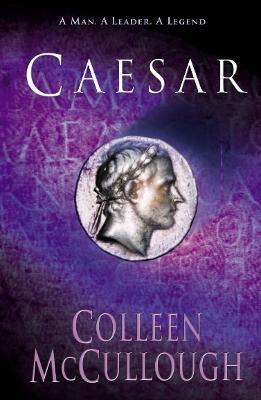 The fifth book in the epic Masters of Rome series. Gaul. 54 BC. Julius Caesar sweeps across Gaul, brutally subduing the united tribes who defy the Republic. But, at home, his enemies are orchestrating his downfall and disgrace. Vindictive schemers like Cato and Bibulus, the spineless Cicero, the avaricious Brutus. Even Pompey the Great, Caesar's former ally. But all have underestimated Caesar. And when the Senate refuse to give him his due he marches upon his own country, an army prepared to die for him at his back. For rome is his destiny - a destiny that will impel him triumphantly on to the banks of the Rubicon, and beyond, into legend, as the noblest Roman of them all. "A thoroughly Romanized epic novel . . . Her version of history marches through the tumultuous years from 54 to 48 B.C. withoutmissing any of the significant military and political landscape . . . McCullough also fleshes out the marbled-over characters of Pompey, Cato, Cicero, Brutus, Mark Anthony and others as they try to deal with the near-infallible Caesar. And Caesar himself . . . [is] brilliant, ambitious, ruthless and fascinating"